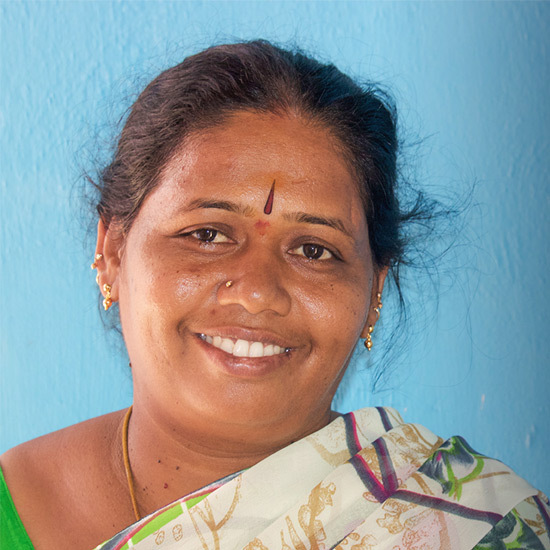 Susila lives in the Bharatapuram leprosy colony with her husband. Her husband is a leprosy affected patient and because of his disabilities, she has been the sole provider for fifteen years. After receiving loans, training, and support to grow her business, she’s learned how to manage money, increase her sales, and support her family. She sells perfume, incense, candles, rice cakes, and chutney. She’d like to thank all those that have supported her business which enables her family to live a better life and get an education . She does not read or write, but she has now made it possible for her children to read and write.